Recent decisions by Deleware’s Court of Chancery have created uncertainty about the state’s ability to efficiently and effectively resolve disputes about the control of corporations including the resolution of “strike suits” (where stockholders object to corporate mergers and acquisitions) and “appraisal proceedings” (where stockholders challenge the negotiated merger consideration after a majority of stockholders approved the transaction) and a result, businesses are looking elsewhere. Nevada is a good place to look. For years, companies have flocked to Delaware to incorporate. Indeed, The Wall Street Journal reported earlier this year that 54 percent of public companies call Delaware home. Some would argue that Delaware’s business court — the Court of Chancery — plays an important role in attracting these business by providing sophisticated expertise in the area of litigation regarding the control of corporations including the resolution of “strike suits” (where stockholders object to corporate mergers and acquisitions) and “appraisal proceedings” (where stockholders challenge the negotiated merger consideration after a majority of stockholders approved the transaction). However, recent decisions by the Court of Chancery have created uncertainty about Delaware’s ability to efficiently and effectively resolve these disputes. As a result, businesses are looking elsewhere. Nevada is a good place to look. The Nevada business courts provide all parties with the certainty of consistent application of Nevada law, including its statutory framework regarding the fiduciary duties owed by officers and directors of Nevada entities, and efficient resolution of these disputes. Consider, for example, the Nevada strike suits related to Mid-American Energy Holdings Co.’s acquisition of NV Energy Inc. (a Nevada corporation). The various strike suits were consolidated before a business court judge in Clark County and concluded 10 months later by a settlement through which additional disclosures were provided to stockholders and comprehensive releases were afforded to defendants. The case required no substantive motions other than the approval of the settlement. Similar efficient and effective resolutions occurred for Intrexon Corp.’s $26 million acquisition of Medistem Inc. (a Nevada corporation) and Southwest Airlines’s $1.4 billion acquisition of AirTran Holdings Inc. (a Nevada corporation). Underlying these effective and efficient resolutions are Nevada’s statutory scheme and court procedures. Most notable among the statutes are (i) NRS 78.138(3), which codifies the business judgment rule (i.e., the presumption that directors and officers act in good faith, on an informed basis and with a view to the interests of the corporation); (ii) NRS 78.138(7), which protects directors and officers from individual liability unless the director or officer breached his/her fiduciary duty and the breach involved intentional misconduct, fraud or a knowing violation of law; and (iii) NRS 78.139, which empowers directors with the protection of the business judgment rule even in the context of a change, or potential change, of control of the corporation. The last statute evidences the Nevada Legislature’s direct rejection of Delaware’s Revlon standard, which often supplants the business judgment rule and turns directors into auctioneers when confronted with a change of control. Nevada’s business courts do not parse these clear statutes or question the public policy established by the Legislature. Moreover, Nevada’s business courts will typically issue a decision in these cases within two months of filing. By comparison, Delaware cases are hitting roadblocks as judges debate public policy related to strike suits. For example, Riverbed Technology Inc.’s $3.6 billion going private deal is mired in litigation over a disclosure-only settlement in which Vice Chancellor Sam Glasscock has expressed his “great interest” and which he took under advisement after an activist shareholder/academic objected to the settlement. This case joins Vice Chancellor J. Travis Laster’s rejection of a settlement involving reductions in deal protections in the $1.5 billion acquisition of Aeroflex Holding Corp. and Vice Chancellor John Noble’s deferred ruling in a case concerning the $8.4 billion merger of Roche and Intermune. Additionally, the legal uncertainty associated with mergers and acquisitions in Delaware courts is exacerbated by Delaware’s accommodation and encouragement of appraisal proceedings. In a Delaware appraisal proceeding, Delaware imposes a statutory, non-market interest rate (Federal Reserve discount rate plus 5 percent) on the amount of merger consideration the corporation must ultimately pay even if the appraisal action does not result in an increase in the merger consideration (8 Del. C. 1953 Â§262). Thus, stockholders in Delaware with significant holdings use appraisal proceedings as an investment tactic with guaranteed high interest rate return, a potential upside on the stock price and little to no downside risk. By way of example, two investment funds recently filed an appraisal proceeding against DirecTV following approval of its $48.5 billion merger into AT&T. The funds own approximately 973,000 shares worth over $90 million at the established merger consideration. Pursuant to Delaware’s statute, the likely result of the proceeding is that AT&T will pay plaintiffs the merger consideration plus millions of additional dollars in interest. Further, AT&T will incur attorney fees and expert costs to defend the appraisal proceeding. In Nevada, none of this uncertainty exists. For an exchange-listed Nevada corporation without a controlling stockholder, there is no post-merger cause of action for an appraisal. Instead, the public market determines the value of the stock and a strike suit is the proper (and only) cause of action to challenge the transaction, and Nevada does not convert equity investments in acquired corporations into high-interest savings accounts. In sum, while Delaware provides an increasingly uncertain forum for all parties in strike suit and merger/acquisition-related litigation driven by supposed public policy questions and misdirected statutory encouragements, Nevada continues to provide the certainty of clear statutes, respect for public markets and experienced business court judges who apply the law efficiently. The result in Nevada is that the parties usually find mutually beneficial business solutions to strike suit litigation without the law or the courts re-balancing or tipping the scales of justice on a case-by-case basis. 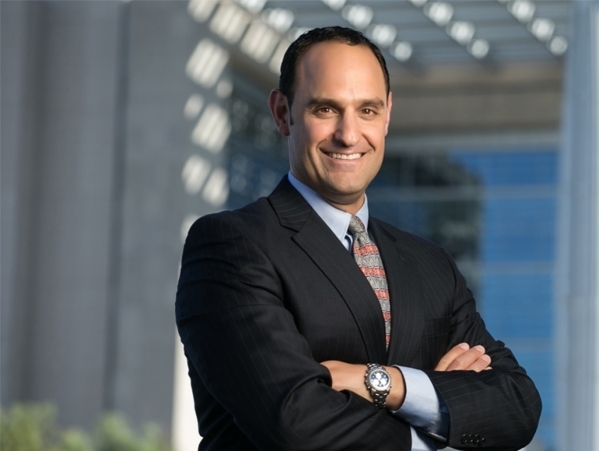 Jeffrey Rugg is a shareholder at Brownstein Hyatt Farber Schreck law firm in Las Vegas.